Good Girl Style: Sunshine! I found it! 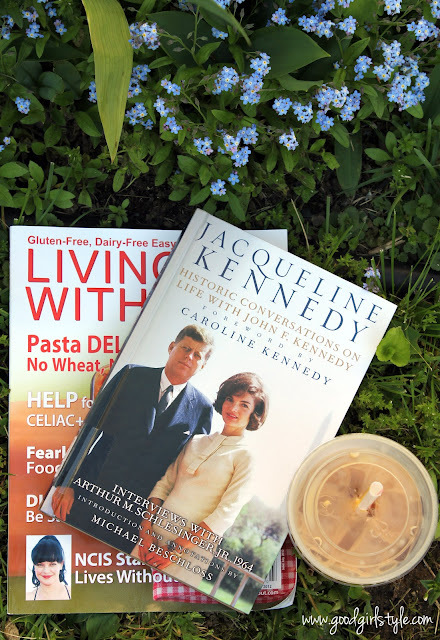 I'm celebrating with Living Without magazine, my new Jack & Jackie Kennedy book, and iced coffee on the lawn. Oh indulgent sun, please stay awhile!